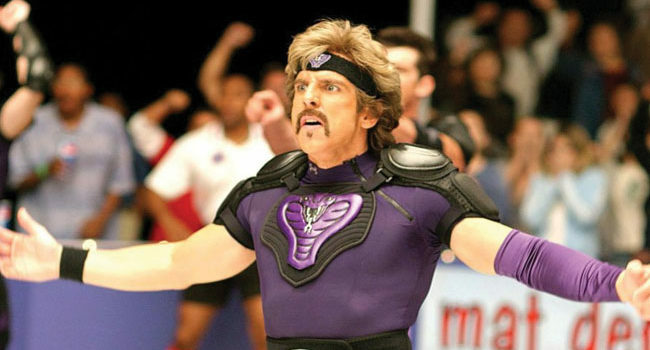 The owner of Globo Gym and the team leader of the Globo Gym Purple Cobras, White Goodman (Played by Ben Stiller) is a fitness-obsessed megalomaniac with one goal – to destroy Average Joe’s Gym. 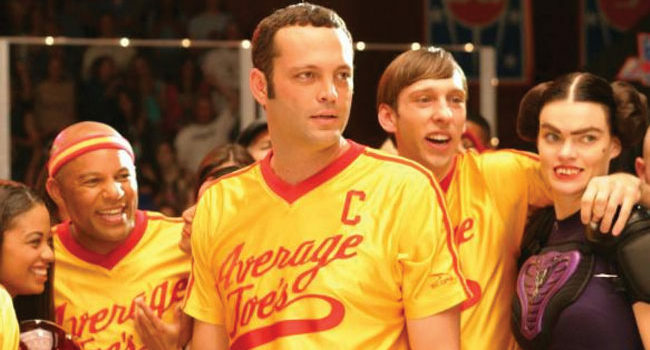 A sarcastic slacker with a big heart, Peter La Fleur (played by Vince Vaughn) is the owner and proprietor of Average Joe’s Gym. When he runs into financial trouble and risks losing his gym to fitness goliath Globo Gym, La Fleur enters a dodgeball tournament with his friends in order to win the cash prize and save Average Joe’s.